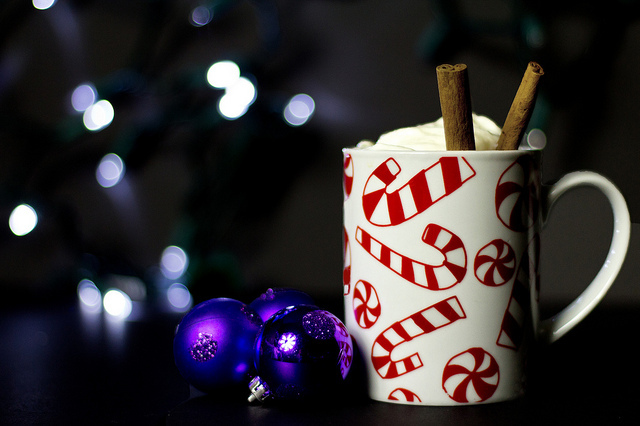 This is a no-fuss, no-nonsense recipe to get you that hot chocolate that you grew up having. It’s for when you want a creamy, classic cup of hot chocolate and will not take no for an answer! If you are like me, this one will be even better than the one you grew up having because it will be made from scratch and not from a processed packet. Surprisingly (and thankfully) you’ll see from this recipe that making it this way does not take that much more time than the packet version. One note is that this hot chocolate is on the sweet side, so if you prefer a richer chocolate, use a darker version. For those of us that have a hard time deeming a chocolate as too dark, this is the recipe to use. Ree uses semi-sweet chocolate which makes it significantly richer than using milk chocolate, but you could even go darker and use bittersweet. This is what I do and I’ve found it to be absolutely perfect. Top it will marshmallows or whip cream (homemade or from a can!) and I believe even non-dark chocolate lovers could get into this hot chocolate. Attention last minute shoppers, I’ve got a gift idea for you! With Christmas coming up in just a few days this would fit the bill for a gift that needs to be pulled together quickly but doesn’t come across as something that is done last minute. It also can be given to a wide range of people because…who doesn’t like hot chocolate? Especially when a loved one is giving it to you in the form of a homemade mix? This recipe makes enough to give some away and keep some for yourself (enough for about 9 cups), so all you really need in addition to ingredients are little jars to keep the mix in. Oh, and if you are thinking that this mix only contains cocoa powder and no chocolate — wrong! There’s real chocolate that you’ll be grinding up with a food processor in here, so it’s a true hot chocolate mix, no powdered-stuff invited. The ever-popular red velvet flavor gets turned into a drink in this recipe. With the amount of fever that tends to surround anything red velvet, I’m actually a little surprised that red velvet hot chocolates aren’t more popular. Maybe in 2017 they’ll be all over? We can only hope. In truth — this drink is pretty similar (almost identical) to a standard hot chocolate, with the only difference being red food coloring to make it, well, red. But something special that this hot chocolate has over others is that this one has cream cheese whipped cream that tops it, just as cream cheese frosting tends to top most red velvet cakes. It sends it right over the edge into almost-too-good-to-be-true territory. Orange and chocolate isn’t a totally unique flavor combination but that has not stopped it from becoming one of my favorite dessert flavor combinations in all of the land. I personally don’t think that it gets the acclaim that it should, and we should use this delicious drink as a promotional tool for bringing chocolate & orange to the masses. The chocolate used here is rich and the citrus flavor from the orange just pops through it to add some contrast and emphasize the chocolate flavor. It’s truly delicious and would be a great drink to make for the holidays! For those who like spice with their chocolate, this hot chocolate is your hot chocolate. It’s got a double punch of spice, using both cinnamon and cayenne to blend with the chocolate. 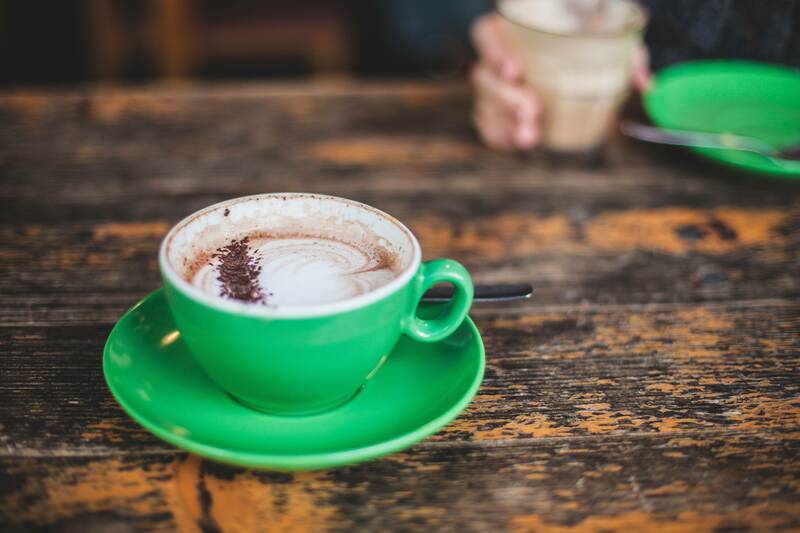 This hot chocolate probably is not the best drink to serve to little kids, or even grown adults who don’t prefer spiciness in their dessert drinks. But for those who do, I really suggest checking this recipe out because I don’t think you’ll be disappointed. It’s made with semi-sweet chocolate so it’s a really rich, gourmet-tasting drink and that combined with the two spices ensures that this hot chocolate is not one that is cloyingly sweet. Not technically hot chocolate because it’s not in drink form, but these cookies take inspiration from the hot chocolate drink. They are essentially hot chocolate in drink form and just happen to be some of the most delicious and addicting cookies I’ve tasted. Unlike the mexican hot chocolate, these are super sweet, because they have 3 different kinds of chocolate in them in addition to hot chocolate mix that you add into the dough. And this is coming from someone who very rarely — if ever — says that something is “super sweet” or “too sweet” so trust that these are on the sweet side of the cookie scale. I don’t mean this in a bad way, just in a must-have-milk-nearby way, and maintain that all that sugar is worth it. Do you prefer straight up hot chocolate or do you like to mix it up? Featured image is from worthy of elegance.